Empanadillas de Carne: Spanish slow braised pulled beef empanada pastries, served with mojo picon sauce. Alegrias Spanish Tapas delights Balmain diners with authentic Mediterranean cuisine in lavishly elegant surrounds on Darling Street. Plush décor, hardwood flooring and dangling chandeliers span this split level Sydney restaurant, creating an ideal setting for smart casual dining. With a focus on using fresh, local produce, Alegrias’ menu features shared tapas plates great for sampling with friends - including the marinated pork skewers, served with Spanish omelette and salsa verde; or Cloudy Bay clams, steamed with white wine, cured ham, garlic and parsley – best accompanied by a wild rocket salad with goats cheese, roasted pumpkin and beetroot, topped with honey mustard dressing. Be sure to save room to end on a sweet note with sticky date pudding, butterscotch sauce and ice cream. Highly recommend Alegrias - Food was great, service was fast and friendly, atmosphere was lovely. 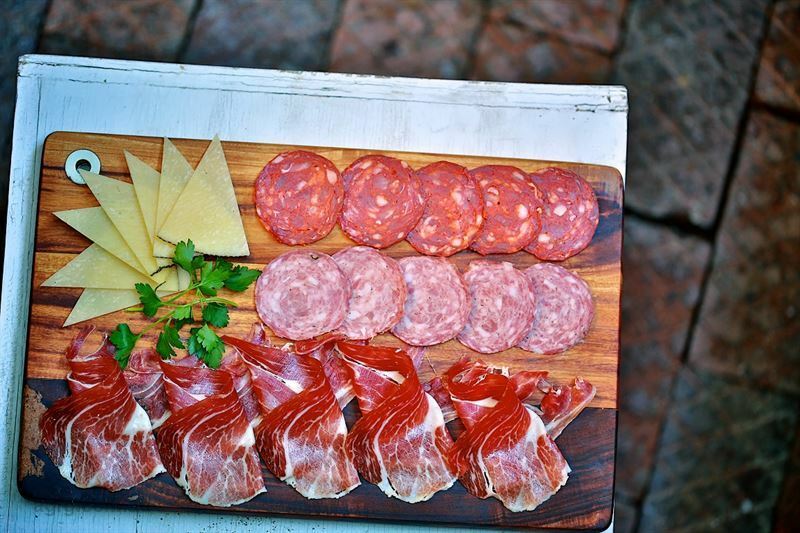 Alegrias Spanish Tapas truly is a hidden gem in the Inner West! Was lucky enough to have my 21st at Alegrias! It was a perfect night, everything ran smoothly, was well organised, and all my guests were raving about it! The food was amazing, as was all the drinks and service! Their friendly staff and manager helped created the perfect event! Went for a romantic dinner with my fionce based on he reviews I read online. Certainly was not disappointed as everything about the place reminded us of travelling through Europe together recently. All of the staff were surprisingly from Spain (doesn't often happen in Sydney) and the food was excellent. The building itself had a great atmosphere too, the photos online do not do it justice. Went as a group of seven. Food was quite nice and true to style Service was adequate and friendly, although their descriptions of dishes should,in my view, be kept simple, . Price was what it should be. Would go again for dinner, and would recommend for a party or group celebration. Awesome restaurant. The Paellas were amazing. Would definitely recommend. I just had one of the best experiences I've ever had at a restaurant. The staff were very friendly and very acomidating. The food was even better. Great atmospher, great time! Will go there time and time again. Great spanish food and awesome Sangria. We will be back!! Wonderful ambience, fabulous food and the staff could not have been more attentive or grateful for our compliments. Excellent attentive and friendly service. 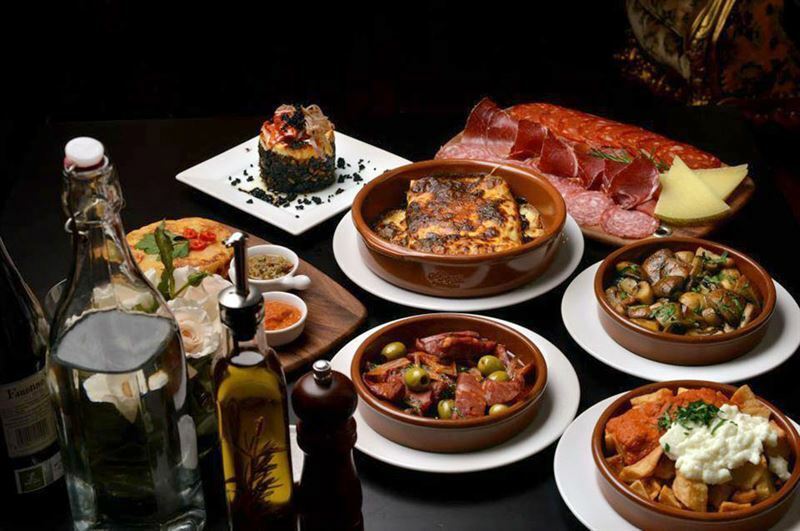 Plenty of very tasty and excellently presented spanish food at reasonable prices. Great setting too with live background music on a Saturday night. Would highly recommend. Amazing from start to finish. Amazing food, Wine and Service. Recently enjoyed a great dinner party at Alegrias. 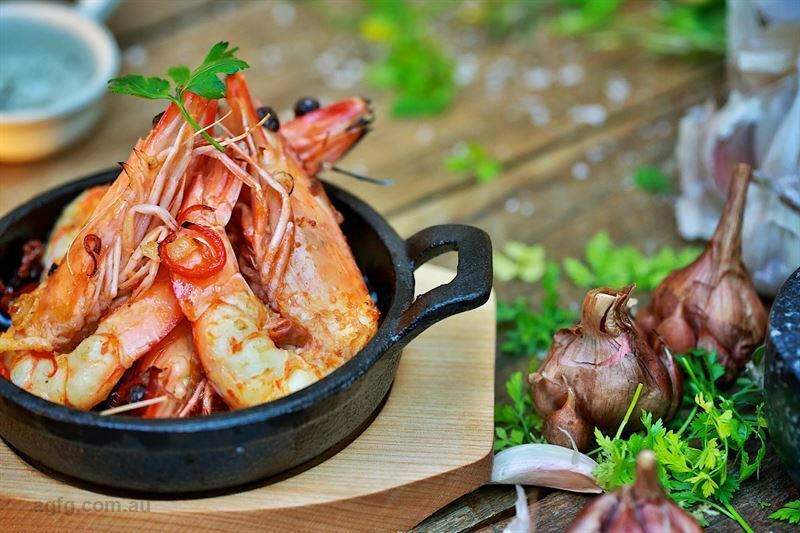 Loved the food so much that I abandoned all ideas of not eating too much after the first bite of the Prawns Gambas. The atmosphere was absolutely beautiful, it took me back to my euro trip eating and drinking my way through summer, especially the wicked Sangria and the Spanish Beers. You so can't pass on the Churros - one was not enough, I could have licked the chocolate dipping bowl clean... The staff were really friendly and helpful. Definitely going back. 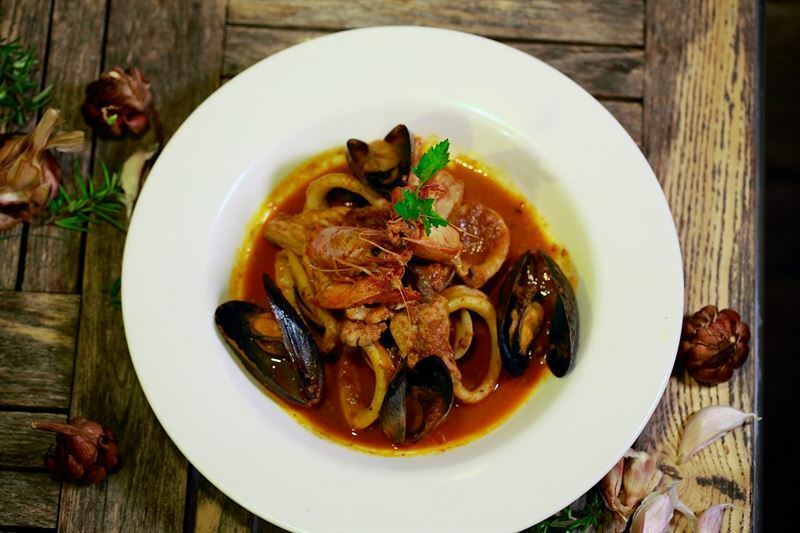 If you adore a restaurant that delivers exceptional flavours and authenticity coupled with an atmosphere that is warm, inviting with a rustic-modern chic look, then i will highly recommend you book yourself into to Alegrias Spanish Tapas in Balmain for dinner. 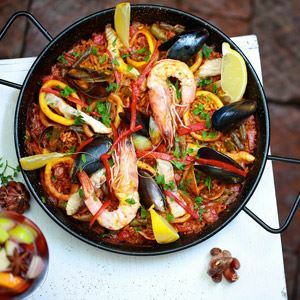 We enjoyed the seafood Paella and it was simply said - DIVINE! The tapas of our choice included the mushrooms, potatoes, prawns, scallops and croquettes - all very well portioned and offer excellent value for money. My husband and i were very impressed with this venue and the food. The waitstaff were very friendly, the food is delicious and the venue is very positioned and decorated. 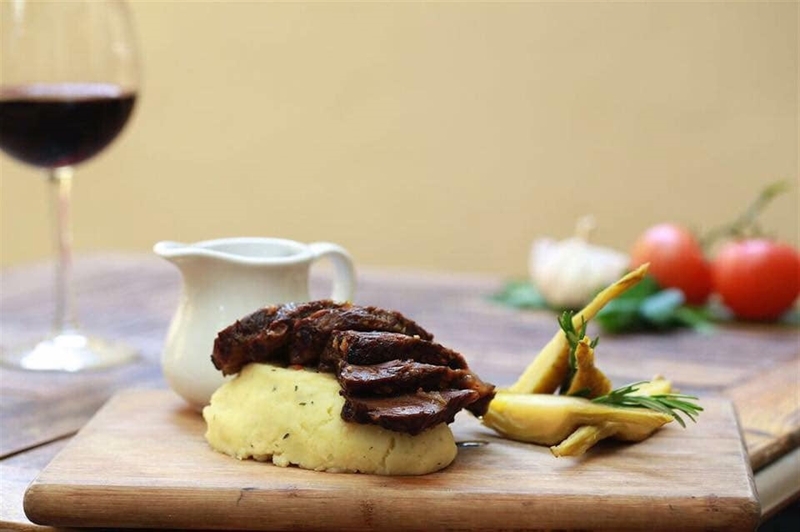 We are booking in for valentines day and i cannot wait to indulge on a night of heart-filled food and premium spanish wines. 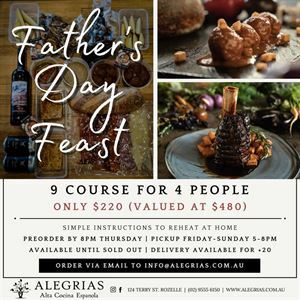 Keep up the great work Alegrias and welcome to balmain - we hope you WIN many awards and more so, win the hearts and taste buds of Aussies and locals visiting your venue! a big YUM from me! Beautiful food in a beautiful and luxurious setting served with a warm and welcoming attitude. Great value for money as portion sizes were very generous and delicious. 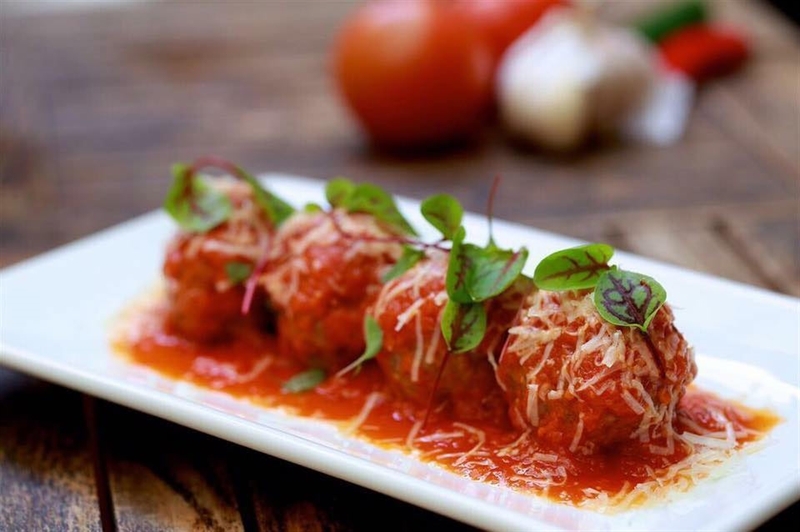 The chef and owners and staff are committed to providing a great dining experience. i have been several times and have been impressed by the quality and quantity of the food. I felt as though I was back in Spain. Magnificent food and great service. Amazing ambience, amazing food! 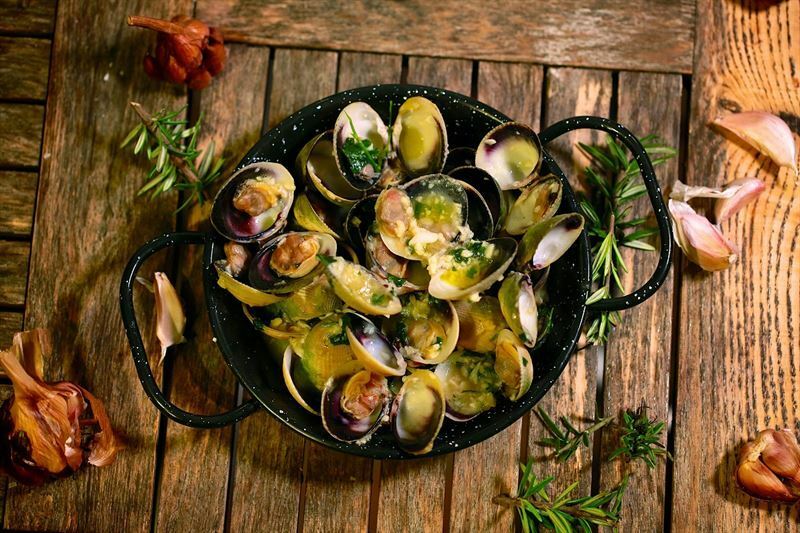 Alegrias is a breath of fresh air on the Spanish dining scene. My girlfriends and I had dinner at Alegrias on a busy Friday night, the food was amazing! The setting is romantic and very beautiful The staff were friendly and very attentive. I recommend this restaurant to everyone who loves authentic good quality Spanish Tapas. Enjoy! I don't usually promote or rave about many things unless I truly believe in them and finally I have a reason to preach and convert everyone. 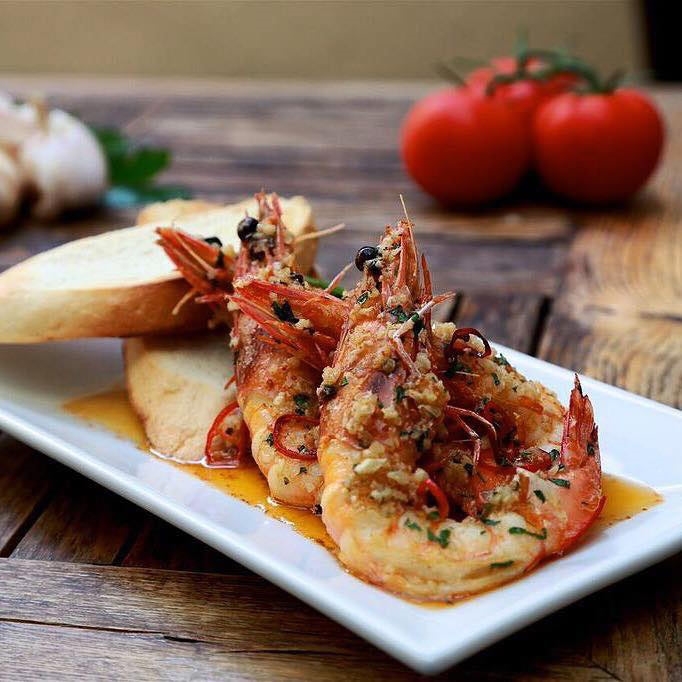 Being the food snob I am and coming from a line of Spanish chefs, (yes I'm spoilt), not since the late 70's early 80's has there been a true authentic Spanish Restaurant in Sydney, and when I say authentic I mean run by Spaniards, chef, kitchen and waitstaff are Spanish. 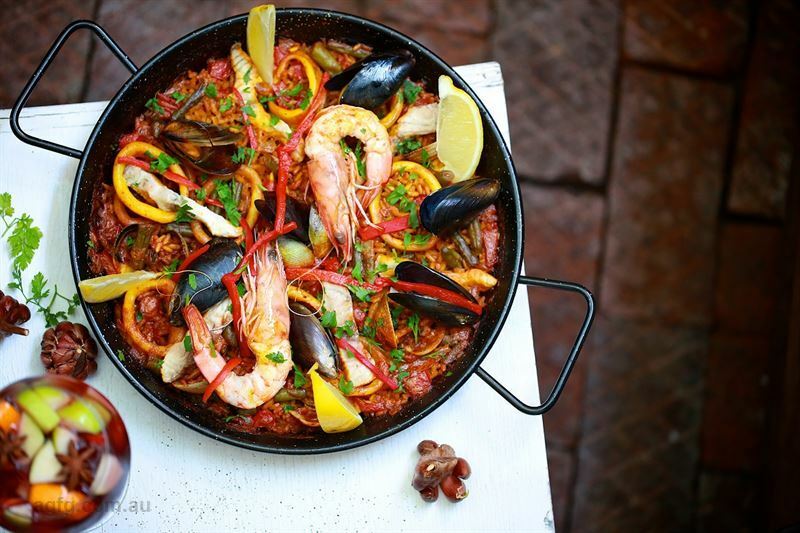 Authentic Spanish cuisine is still a hidden gem in Australia, all these restaurants who profess to be tapas places none are real Spanish Tapas restaurants. Alegr?as has hit the nail on the head and finally brought to Sydney the real thing, it is run by Chef and owner Javier Sevilla, not only does he use the finest of local produce but makes you feel like you're in Spain, eating traditional food like mum or grandma would make with fabulous wines to match, it's the perfect place to enjoy an authentic Spanish dinning experience. Set in a perfect location, the village atmosphere of Balmain and with the most inviting decor and to top it off with fantastic prices, if you want to experience Espa?a do yourself a favour and go to Alegr?as. I've been employed by Alegrias Spanish Tapas since the first day our doors were open for business and let me just say without any bias whatsoever that the food is AMAZING! It truly is one of the greatest perks of being employed by Alegrias. I eat there 6 days a week and never get sick of the food! I've worked in this industry for many years now and chef Javier is undoubtedly the most talented chef I've ever had the pleasure of working alongside! The way he plays with flavors and textures is mind blowing! The oxtail cannelloni with manchego cheese is my favorite dish and the ensalada verde wow! Not just your average salad! 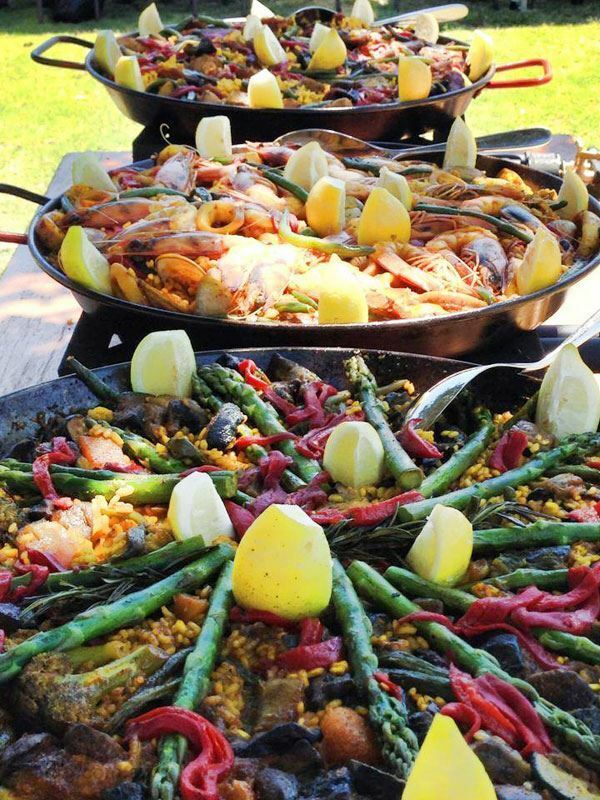 Our paellas are addictive!!! There's nothing better than sitting down with my co workers at the end of a busy shift enjoying a nice paella together before we go home! Ambiance wise I must say that I feel proud to work at such a beautifully decorated restaurant, I have such a great appreciation for our decadent decor! I'm also very fortunate to work alongside such a great team from the owner Karl through to the friendly waiters/waitresses and chefs. Highly recommended! Don't forget to try the cannelloni! Oh and how could I forget the tender, marinated eye fillet skewers! They're also a must have when you visit! Simply amazing, the best service, the most breath taking venue, and mouth watering food at the perfect price. Love it! Simply the best tapas restaurant in Sydney!!! Well done! Great food, great wine, good service!! Great tapas, great dining room, friendly staff but service could be a little better, I asked about the wines and the waiter was a bit vague. I can see what the owner is trying to achieve with this restaurant, it's not fine dining but the setting is. There was a group of at least 30 in the private dining room as you enter the restaurant, beautiful room, great idea, will be looking to book it for my birthday!! By far my favourite tapas restaurant in Sydney!! Love this place!!!! 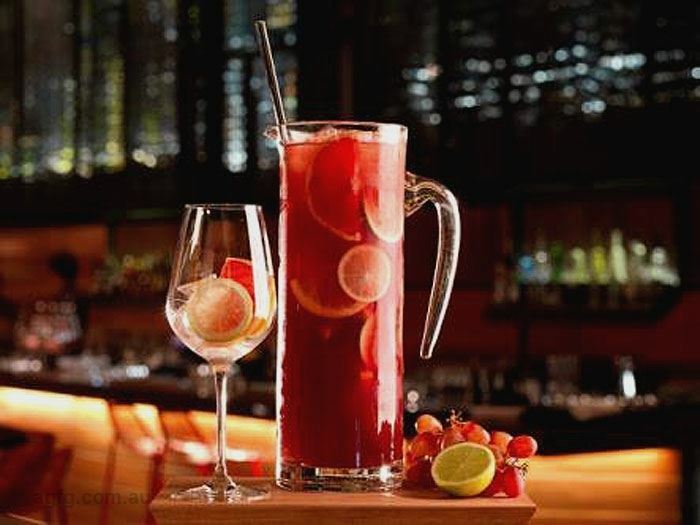 Great venue, great vibe and friendly staff.. Cocktails are amazing and only $12!!! We hade almost all the tapas and loved everything!!! 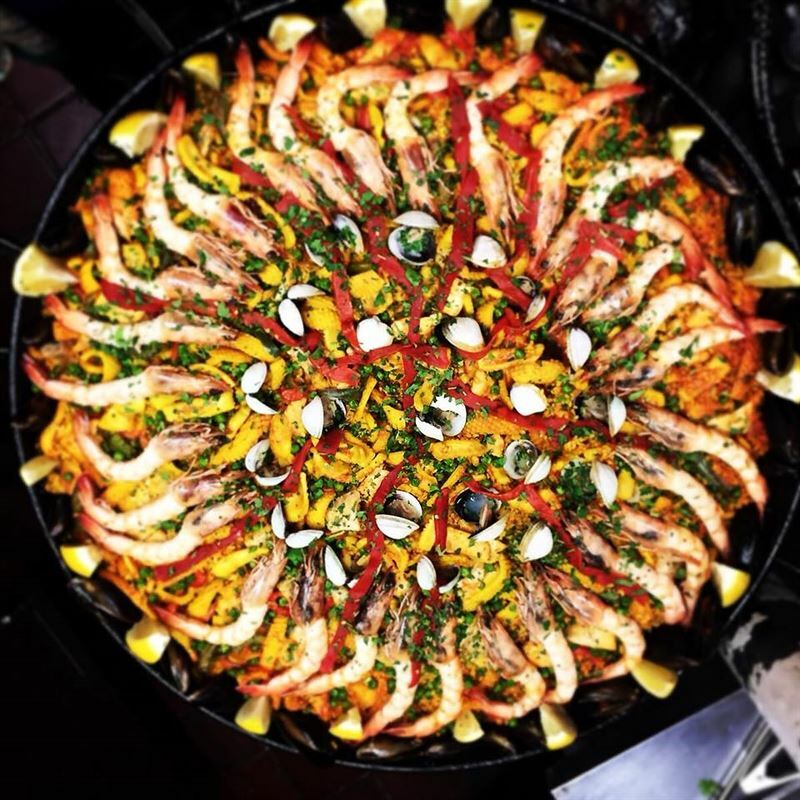 Cant wait for my next visit to try the paella, the table next to us ordered it and it looked and smelt divine!! Well done alegrias, welcome to balmain! Treat your mum to lunch or dinner at Alegrias. Book now. Ease out of your work day, and into your evening with our end of day drink specials. Every Tuesday & Wednesday from 5.30pm-7.30pm enjoy 49% off selected wines, house spirits and beers - all while you sit back and relax in our courtyard, grazing on our tapas or as a pre-drinks location before having dinner here or elsewhere. Bookings are recommended, particularly if you'd like a table outside, call (02) 8065 5686. Whether it's an intimate get together for a few, private dining for many or private hire of our restaurant - the possibilities are many. We can assist you with sourcing entertainment, decor and much more. If you'd like more information, costs and a quote, then contact us now info@alegerias.com.au, or call (02) 8065 5686. Gift vouchers are a great gift for any food lover, for any occasion. Vouchers are available easily online via our web site, and are valid for 3 years from purchase to redeem. Give someone you love a gift this year that they can really sink their teeth into and the experience of a visit here at Alegrias. Join us every Saturday night, as we bring you dinner and a show here at Alegrias. We've partnered with the amazing team from Flamenco del Mar, who provide the best and most authentic entertainment in all of Sydney. A fully interactive show experience, you're encouraged to get up, dance and enjoy the night. Entry is free when you dine. Bookings are a must, as this is always our busiest and sold out night of the week, call (02) 8065 5686 now.